It wasn’t how it was supposed to be. At least, it wasn’t how he’d hoped it would be. It wasn’t how anyone had hoped it would be – especially the prodigious goalscorer who had been so influential in his side’s journey to that point. His team were down by three. Just a minute later, it would be four. He had mustered only a handful of touches during those tortuous 56 minutes. And now, it was all over. He was pulled off, making way for the replacement goalkeeper. The end of his dream. The end of our dream. But he vowed to return. He took one last, painful look over his shoulder as he wearily clambered the stairs to collect his medal, and promised himself he’d go back – and this time leave as a winner. It was all so much better the second time round, thankfully, and he was as valuable as anyone was during a match that was effectively won before the break. Again, it had been goals from him that had helped to propel the club to that final, and he swooped in once more to add his name to the Wembley scoresheet. This time, he did it right. This time, he got the trophy. This time, he got the glory. Nahki Wells came in as our exciting new prodigy. There he was, young, full of enthusiasm, our beacon of hope and promise amidst an underperforming and underwhelming City side. Adulation and adoration were in no short supply, and the loud fanfare that accompanied his every move on the pitch seemed to unequivocally confirm that the club had unearthed a gem in this player. Fans earmarked him as a bag of potential. Wait for next season, they said, and just watch him flourish. It was the pure talent he’d been blessed with by which he raced onto loose balls and caused the catastrophic defensive efforts that constituted such a great percentage of his goal tally last season. Wells is a player with unique pace and finishing ability, complete with the work ethic to ensure his talents do not go to waste. How many City goals have derived from Nahki hounding a seemingly futile ball? How many times have we seen him swoop in at the eleventh hour and slot home from the acutest of angles? How many James Hanson knockdowns has he tagged onto to open up the scoring? He was our hero, the poster boy for the Parkinson revolution, and, as he and Hanson blossomed together, it seemed the Bantams had finally found that notorious strike partnership that managers had, for so, so, so long, tried – and failed – to instate. As Wells became more and more prolific in front of goal, word of his finesse spread. It was slow, at first – his name was not uttered beyond Bradford, his native Bermuda or, at a stretch, League Two grounds where opposing teams had been warned of his prowess. Then, there was the cup run. There was the Burton game – Nahki helping to instigate the revival. There was the Arsenal match – Wells winning the free kick that opened up the scoring; 1/3 of an assist for Thompson’s goal. There was Villa at home – that finish everyone feared was offside. But he was a passenger for Wembley I. When Duke was dismissed, Parkinson had no other option than to take Nahki off. The League Cup miracle was over. No cup final winning goal for him. And Wells stalled afterwards, as did the rest of the team. The goals that had seemed so effortless at the start of the season dried up. He was no longer a guaranteed starter. His confidence dipped. It wasn’t working. There was a worry Wells had taken the path of the doomed starlet, peaking too early. Was it all downhill from there? One could have been forgiven for thinking so. But Parkinson sat him down. They had a chat, talked things over. Watched a DVD together: Nahki Wells, Series One – The Striker Who Blasted Them In From All Over The Park. It’s cracking viewing, by all accounts. Seriously inspiring stuff. Nahki decided he wasn’t going to let his personal season peeter out. He hoisted himself out the chasm of ill form, and, suddenly, the goals just wouldn’t stop coming. Northampton, Bristol, Burton, a cool finish at Wembley. The resurgence had come at the perfect time, and both Wells and City were better for it. Nahki came out stronger, and he’s most certainly not looked back since. Yet, there’s one fundamental, major difference in Nahki’s style since last term, and it’s been evident right from the Bristol game: he’s thinking about it more. Even in these early stages, the change seems massive. Wells was always well endowed in the attributes department – he outpaced defenders for fun, forced blunders and had an impressive eye for a goal. The transition started partway through last season, but even that’s been built upon: here is a player who is beginning to pick out the perfect pass, whilst retaining that predatory, goal poaching instinct impossible to teach. By looking at some of his movements, the runs he makes and where he knocks the ball, it’s immediately evident that his game is so much deeper. He’s now a well-crafted bundle of neatly worked flick-ons and clever balls forward, on top of everything he’s always been. Wells was never a one-trick pony in terms of his assets, but he’s now excellent in nearly every aspect of his play. As we begin the ascent to new altitudes and illustriousness, Nahki moves along simultaneously, aiding us while presenting a compelling case for himself. It’s no coincidence that City’s form dipped last season as Wells struggled to ruffle the net. That’s not to say that other factors didn’t come into play (the cup run – ahem! ), but it seems impossible to ignore the influence the Bermudan exerts. And the thing with Wells is that he’s not yet the finished article. As revered as he is, which is a great deal, he becomes all the more exciting a prospect because he is just that – a prospect. There’s so much more someone can still do with him. We all raved about him last season, and he’s taken it up a notch from then. Keep doing that, and he’ll be incredible by the time he peaks. Which might leave Nahki with a tough question. It’s purely hypothetical, but it’s worth asking – if his rich vein of form continues, he’s going to attract interest, and more than he did this summer. Let’s say the offers come rolling in (it depends on more than just Wells’ form – in that way, he’s not in control of his own destiny). The striker has a choice to make – and one that will shape the rest of his entire career. Nahki Wells could continue to develop with Bradford. He can rise with us. We are going places, and it would surely be better for him, as a player, to match the rise of the club, and to improve at a pace that ensures his every skill is honed well enough for him to be the best he can be. It was Parkinson, Parkin and Allamby who helped him to find form when goals eluded him, and it’s that trio, when combined with Nahki’s own hard work, that collaborate to maximise his effectiveness. Wells and Parkinson fit like a jigsaw. Ditto that for Wells and Hanson. It works. It all works. It all works here. Make the leap upwards, and anything could happen. There’s every chance he could be a success story, that League Cup runs could become the norm. And it’s not as though no one else has made the jump to the top flight successfully before – you only need to look as far as Adam Le Fondre to find a footballer who’s managed that journey upwards. But there’s every chance Wells could stumble, too. What if he signs for a club and is shunned in favour of some Spanish ace with a pedigree our Nahki cannot possibly rival? What if he struggles for form and becomes a target for the infamous boo boys? What if he ultimately dissipates into some mist of instantly forgettable protégées, who were tipped for greatness but who were drowned by circumstance? He might follow the well-worn path of similar aces, the one trodden by Owen Hargreaves, Michael Owen and Michael Johnson. Sure, there was more to those tragic tales than the lack of a starting berth, but the point remains. The difference between the Championship and Leagues One and Two is consistency – the test for Nahki this season is to reproduce that quality exhibited in his first eight games over the whole 46, which is a big ask for any player. But one thing’s for sure: it’s going to be amazing to watch Nahki develop further. 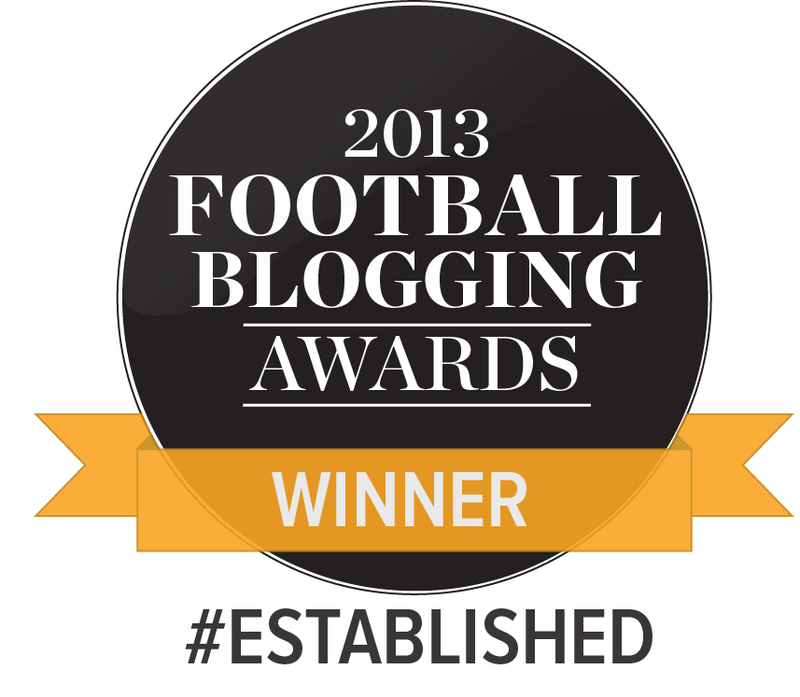 If you like what Width of a Post do, please vote for us in the Football Blogging Awards. If you enjoy Katie’s superb writing, visit her excellent website Bantams Blogger (and vote for her in the Football Blogging Awards too) .